There are many advantages of negative gearing. Targeting high growth areas is just 1 of 5 I want to share with you. Negative gearing is a common investment strategy in Australia and there are some major advantages to investing in property using the negatively geared strategy. I’m going to cover five advantages of negative gearing in today’s episode. Positively geared properties are actually much harder to find in Australia than they are in other countries. So, what are some of the advantages of negative gearing and should you consider it as an investment strategy? Advantage number one of negative gearing, which is probably the reason why most people choose to go down this path, is that you can target high growth areas. Australia is very much a growth market, meaning that even if you invest in positive cash flow property, chances are that you want to achieve some capital growth in order to get the great return on investments that you desire. Because negatively geared properties are basically everywhere, you basically have free rein over all of Australia and you can choose top target areas that have high growth potential so that you can get that capital growth. Another benefit of negative gearing is the tax benefits that come with it. Now I’m not a tax accountant, so I can’t give you taxation advice, always see your accountant before doing anything tax-related, but with investment property and with negatively geared property you are able to claim the loss of that property, plus any losses occurred through depreciation against your income and you may be eligible for a tax refund. There are some tax benefits to investing with negatively geared property, which means you don’t lose as much money every single month as you’re paying out. Or in some circumstances, due to the tax refund, you may actually get more back than you payout. This could make a negatively geared property a positively geared one. Again, always speak to your tax accountant before doing anything tax-related. The third benefit of investing using negative gearing is that you can purchase property in more stable and predictable areas. 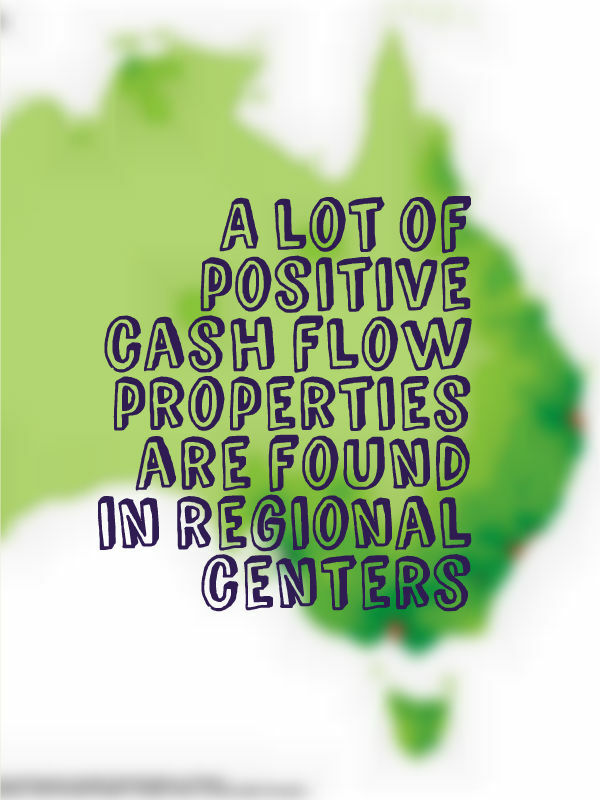 A lot of positive cash flow properties are found in regional centers, regional areas or mining towns or the other types of properties that aren’t as desirable to every single person. But with negative gearing you can target the properties that everyone in an area wants that are highly desirable and you can easily go after areas like major capital cities that will probably be more stable in terms of pricing because there is such a large demand for housing. The fourth benefit of negative gearing is that if you actually achieve the capital growth that you want, there is the opportunity to leverage against that in order to get larger returns and to expand your portfolio. As you property goes up in value it may be possible to borrow against that increased value in order to use that as a deposit on another property and expand your portfolio without actually injecting anymore cash into these investments. Benefit number five is the opportunity to add value almost instantly through things like renovations or subdivisions or a bunch of different other ways to add value to a property. By purchasing a negative geared property that might be rundown or might have been on the market for too long and therefore you got a great deal you might have the potential to increase value on that property by doing some hard work and making that property more appealing to your target market. As you can see negative gearing is a very common investment strategy and there are some major advantages to it. I still love positive cash flow property and I think I always will because for me, passive income and financial freedom and being able to do what I want with my time is the most important thing.